[For ages 18+] Are you a fiber crafter? Does your family have all the hand knitted or crocheted hats, scarves, mittens, or shawls that they could possibly use in this lifetime? 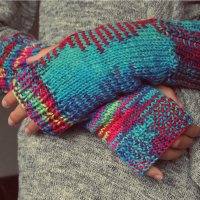 Do you have a passion and skill for making hand knitted or crocheted garments? Then the Delaware Avenue Albany Public Library Knitters and crocheters need you! Every Friday from 12:30 pm to 2:30 pm we gather to share our passion for yarn and create items to use for our “Yarn Bombing” next autumn when we will distribute our hand made clothing in the city.